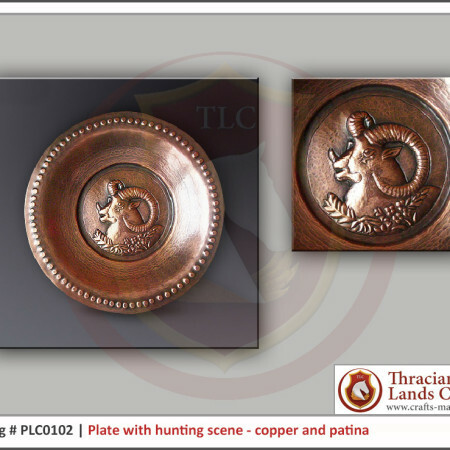 This plate is entirely handcrafted wrought copper, brass and silver with hunting scenes, made with a lot of patience, love and skills. 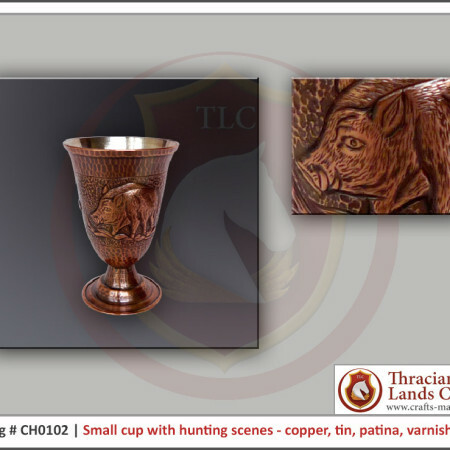 The technology of production of this item is identical to that of the ancient masters. 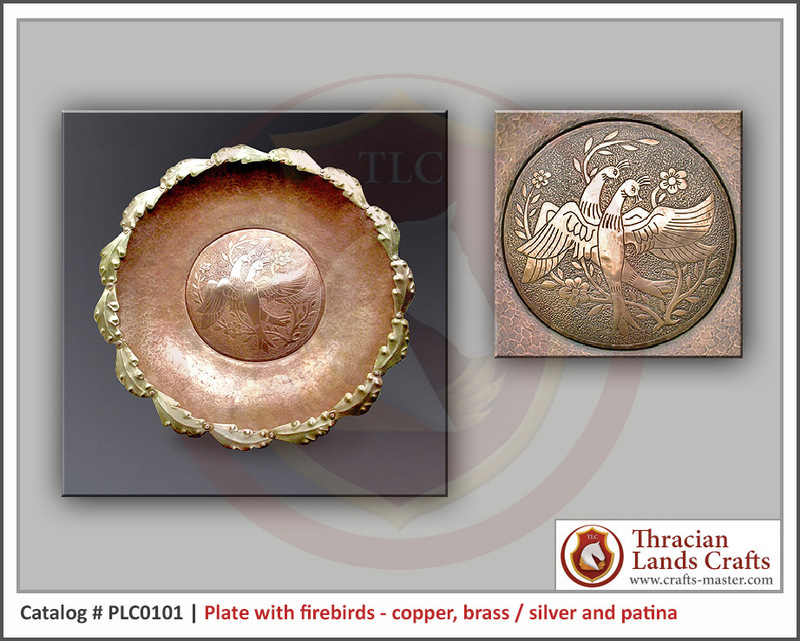 This plate is functional and is used in modern life, but at the same time is unique product and carries the spirit of times long gone, which creates a sense of eternity. Art processing of metals is known from the antiquity. 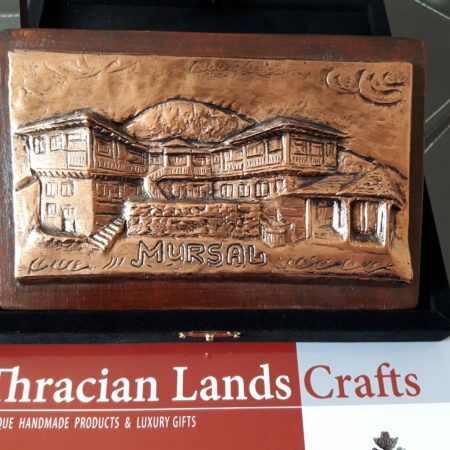 Today we admire the Thracian craft works of gold, silver and copper, whose authors remain anonymous, but what they’ve created remains and continues to delight us with its beauty and rich decoration. 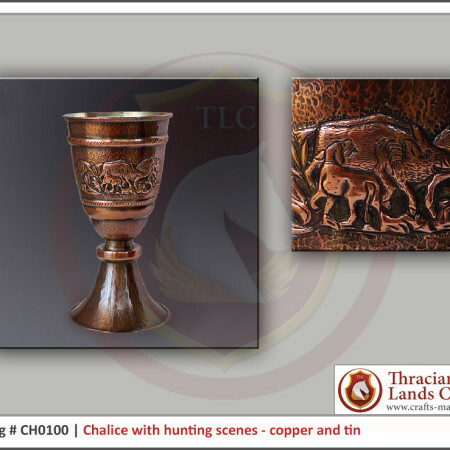 During the Renaissance, products made for churches (church utensils) were particularly impressive – such as vessels, crosses and other metal objects made of gold, silver, copper and brass, which with its elegance and tradition reinforce the unique style of craft. Few followers are masters of this craft today, but with the same love, patience and sense of metal, we infuse life.